If you dressed up as a police officer and carried a gun and started writing tickets you would be in jail really fast. When Robert Davies does it for over 30 years, takes money from taxpayers, and qualifies for a pension, where is the outrage? She has contacted various law enforcement agencies who have yet to launch an investigation or make an arrest. Where is the equal justice under the law? There doesn’t seem to be any when public officials are involved. Mackinaw is in Tazewell County. If you aren’t outraged at this abuse of public funds, what does it take? 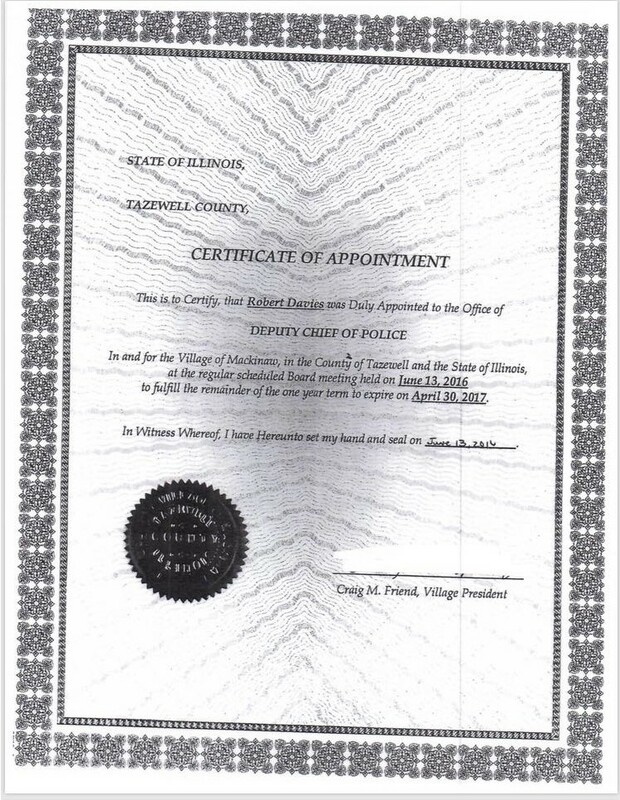 I have numerous certificates like the ones below showing Davies was a police officer. 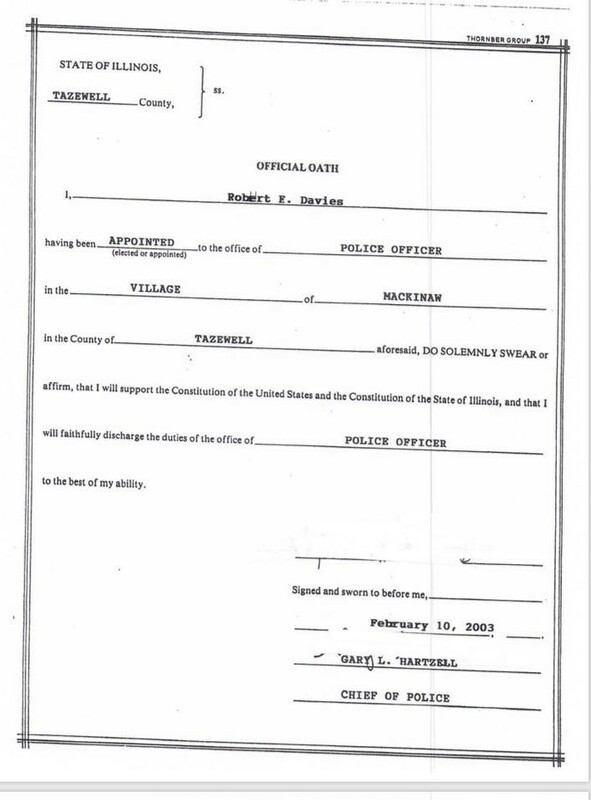 Note the signatures were redacted before they were sent by FOIA. Not checking the credentials of an employee for many decades does not mean the law is immaterial. Mackinaw: You need to demand justice. By the way, this story was presented to 2 other media outlets before BlnNews, both refused to do a story. 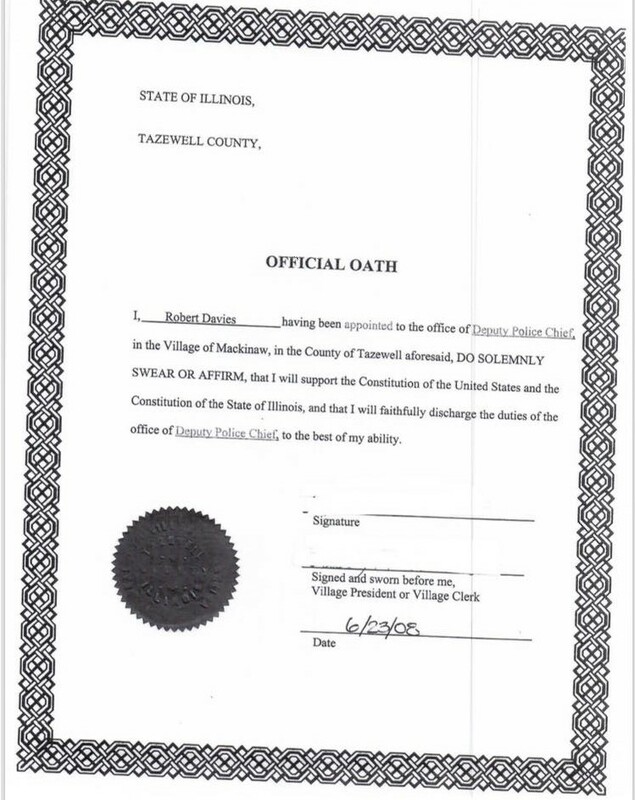 Posted in Liberal Media, Local, Taxes.Tagged impersonating an officer, Robert Davies, Village of Mackinaw.